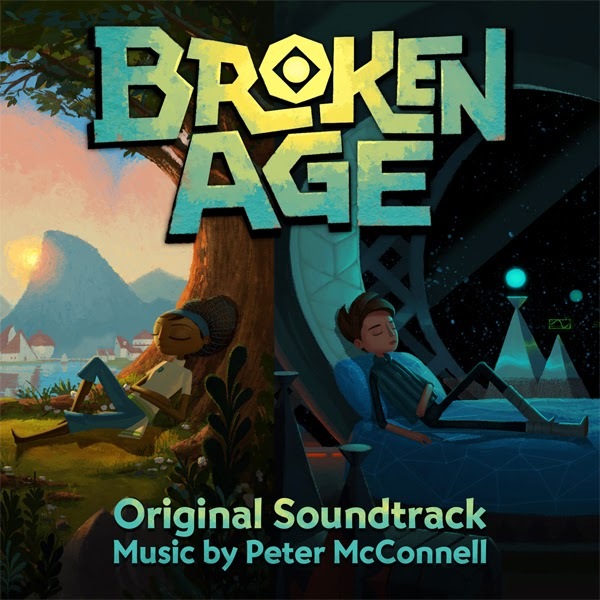 (San Francisco, CA) January 16, 2014 - Award-winning composer Peter McConnell has crafted an original orchestral score for the highly anticipated graphic adventure game Broken Age, created by visionary designer/writer Tim Schafer and Double Fine Productions. McConnell previously composed the acclaimed musical scores for Double Fine's Brutal Legend and Psychonauts as well as several classic adventure game soundtracks for LucasArts including Grim Fandango and Monkey Island. "I've worked with Peter for twenty years now, and have loved every soundtrack he's created, but I have to say that this could possibly be my favorite," said Tim Schafer. "There are several points in this score that make the hair stand up on my neck. Also the hair on my back. And those weird little patches of hair on my upper arms that look like sheriff badges. Anyway, it's an amazing soundtrack." Fluent in classic film scoring styles ranging from the whimsical to the epic, Peter McConnell's sublime and often playful, narrative-driven score for Broken Age features a variety of colorful acoustic textures including live recordings with the Melbourne Symphony Orchestra and small ensemble performances recorded with wind and string instruments. The official soundtrack will be available on BandCamp.com to coincide with the game's release on January 28. Music samples are now available to preview on SoundCloud. Broken Age tells the story of Vella Tartine and Shay Volta, two teenagers in strangely similar situations but radically different worlds. The player can freely switch between their stories, helping them take control of their own lives and facing the unexpected adventures that follow. The development of Broken Age began two years ago in a historic, record-breaking Kickstarter campaign-and Act 1 of the game is nearly here, in all its beautiful, 2D, hand-painted glory, with an original orchestral soundtrack by Peter McConnell and an all-star vocal cast starring Elijah Wood, Jack Black, Wil Wheaton, Jennifer Hale, Pendleton Ward, Masasa Moyo, and many more. For more information on Broken Age visit www.brokenagegame.com. Peter McConnell has composed award-winning scores in the interactive entertainment industry for nearly two decades. His credits include Broken Age, Plants Vs. Zombies: Garden Warfare, Plants Vs. Zombies 2, Sly Cooper series, Star Wars: The Old Republic, Psychonauts, Brutal Legend, The Sims, Grim Fandango, Full Throttle, Monkey Island series, and many more. McConnell studied music with Ivan Tcherepnin at Harvard University, graduating with High Honors. In addition to being a composer, he has been involved in the technology of music and digital media, and is co-inventor of LucasArts' patented iMUSE interactive music system. For more information on Peter McConnell visit www.petermc.com. MSM/Kronos... a Couple GEMS from 2013! Judgehydrogen... New Art, it will SHAKE YOUR EYE! Howlin' Wolf: Question and Answer!